Tax cuts will pay for themselves through economic growth, says Council of Economic Advisers chief Kevin Hassett. He also backed the U.S. president’s protectionist policies, despite being a “full-blown free trader.” That’s one aide fewer willing to dispute voodoo economics. Kevin Hassett, chair of the Council of Economic Advisers, promoted a Republican plan to cut personal income and corporate tax rates at an event on Oct. 5 hosted by the Urban-Brookings Tax Policy Center and the Tax Foundation. “It is a simpler, fairer system that increases the base and lowers rates,” Hassett said. 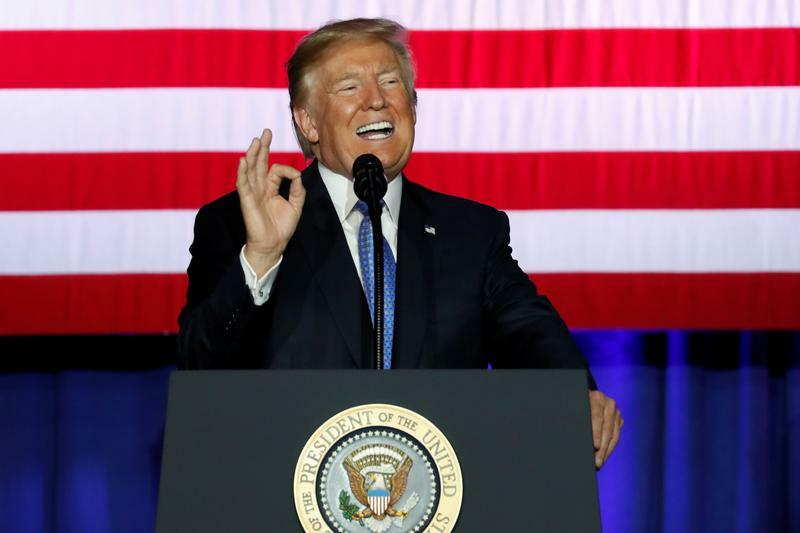 “This plan is pro-growth.” The Republican framework would reduce the seven personal income brackets to three and reduce the corporate rate from 35 percent to 20 percent. Trump earlier demoted the position of chair of the Council of Economic Advisers to a non cabinet-level job. Hassett was chair of American politics and culture and director of research for domestic policy at the American Enterprise Institute. Before joining the think tank, Hassett was a senior economist at the Federal Reserve and an economics professor at Columbia University. He was also a consultant for the Treasury Department during the George H. W. Bush and Bill Clinton administrations.